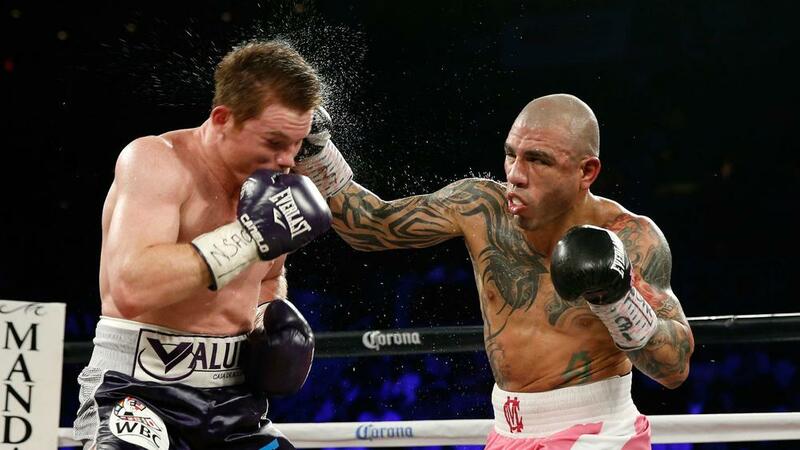 Four-weight world champion Miguel Cotto wants a rematch with Saul 'Canelo' Alvarez before he hangs up his gloves later this year. The US-born Puerto Rican returns to the ring next month against James Kirkland in his first bout since losing on points to Canelo in 2015, a result Cotto felt should have gone his way. Cotto relinquished the final two of his belts that night in Las Vegas but he still believes he has the quality to challenge for titles before announcing his retirement. The 36-year-old has held titles at light welterweight, welterweight, super welterweight and middleweight during his career, and boasts a record of 45 fights and 40 wins, with 33 knockouts. And Cotto hopes to improve that record with fights against top-class opposition, and old adversary Canelo is top of his list. "I'm here for the best fights and the best fighters out there, so if Canelo Alvarez wants to fight, to clear what happened November 2015, they know where and how they can make it," he said. "It was close. We orchestrated the plan in a perfect way and we believe that we were the winners of the fight." However, he will not keep pushing for the fight beyond 2017, as he fully intends to retire before the year is out. "2017 is going to be my last year in boxing," he added. "We'll see what happens next. "This is the last year of my career and I want to finish it in the best way possible. I've been boxing since I was 11, I've got four kids, I've been away from them for a [large] part of their lives and I want to be with them, I want to be a 100 per cent father. I'm a family man first, then a boxer. "I've had a great career with good fights, it's time to do something else."